I have so far, though that may well change, resisted the will to produce an illustrated version that would tear to shreds this catalogue of lies, deceit and vulgarities, aka the writings of Gerry McCann. There are those among us that might argue why the guilty would press for a review of this case? Equally, a similar question may have been asked of Stalin: Why bother with all these (show) trials when you already know the outcome? when you already know the outcome Or in the case of the McCanns, what that outcome will be. And that outcome, as well we know, goes by the name of Operation Grange. I need say no more, do I? Other than perhaps, the best is yet to come. 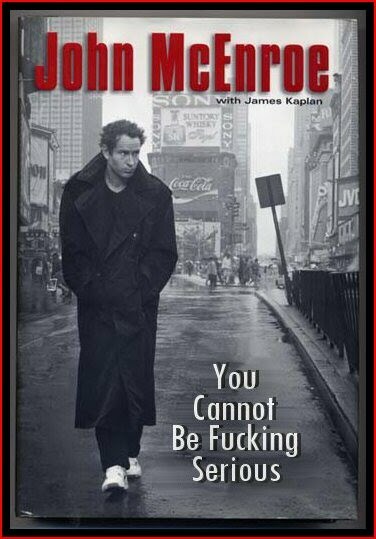 And by best, I don't mean the best possible outcome, I mean something so outlandish that it will, across this land far and wide, provoke such a response that the already immortal words of John McEnroe will become etched in stone and forever be synonymous with whatever it is that the present government will attempt to foist upon us. Theresa May, Home Secretary. Known associate of Kate McCann. Shame about the body language Theresa, it's a bit telling. In fact it is more than a bit telling, it is a revelation. Some might even say it makes you look complicit, but I couldn't possibly comment. This is the full text of the letter urging people to support the McCanns' petition. As I write, it is exactly three and a half years since our daughter Madeleine was so cruelly taken from us. Three and a half years without her seeing her brother, her sister, her Mummy, her Daddy or her best friends. We are still searching for her. Our small team continues to review all available information, even though we STILL don't have access to ALL of the information that the UK and Portugese [sic] authorities have. Our team has interviewed hundreds of witnesses, received over 1,000 calls, dealt with over 15,000 emails and maintained a computerised database of all information they have received. Despite the difficulties resulting from lack of official assistance, they "follow up" all new leads to try and get fresh information into the investigation. It is incredible to think that for the last two years and three months NO police force has proactively been doing anything to help us find Madeleine. Crucially, there has been NO formal review of the material held by the police authorities - which is routine practice in most countries, and especially when a key piece of the "jigsaw" may have been overlooked. However we know we are not alone. We have the tremendous support of family, friends and of course you the public. A lot of this support comes in the form of people saying to us, "if there's anything we can do, just let us know" or "I'd like to help but I don't know how". To these people, and indeed yourself, my plea is simple. We need your support to continue to lobby the British and Portugese [sic] governments to undertake a joint or independent review of Madeleine's case. Simply visit: http://www.ipetitions.com/petition/madeleinemccann--case--review/@ and sign the petition to call on the UK and Portugese [sic] authorities to conduct an independent and transparent review of all information in relation to the disappearance of Madeleine. And in turn, please spread the word and encourage as many others to do the same. Together we can, and will pull all of the loose ends of Madeleine's case together and find her. To carry on searching for Madeleine and to ensure that the process has continued in a meaningful and proactive way, we have been able to utilise the generous donations paid in to Madeleine's Fund by the general public, libel damages paid to ourselves and our friends and money raised through a variety of fundraising efforts. - Our investigation team of ex-police officers to operate and conduct enquiries in the UK, Portugal and further afield. - Media liaison in Portugal and the UK to ensure that we convey the simple factual messages: there is absolutely no evidence that Madeleine has been physically harmed; we must keep looking for her and those who took her. - Awareness campaigns in Portugal, Spain and further afield. Someone knows what has happened to Madeleine. We simply need to reach that person. We need to obtain that key piece of information, that "missing piece of the jigsaw". One call may be all we need to find Madeleine and who took her. Our little girl is now seven years old: innocent, vulnerable and waiting to be found. Please, please sign the petition and help us to find her. Which part of this do people not understand? A minor adjustment required in order to strengthen the point.. 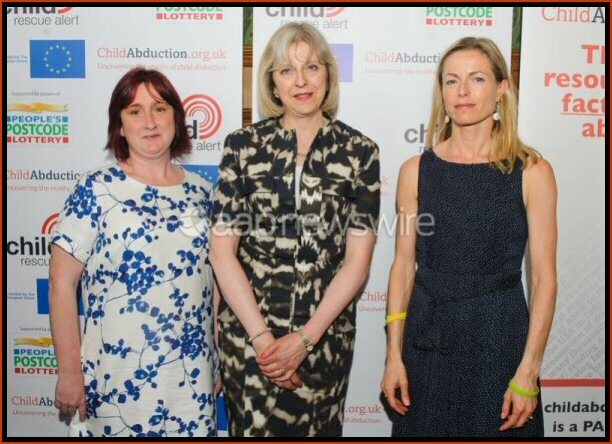 Downing Street reception: Kate McCann is introduced to the Duchess of Gloucester by Theresa May (Home Secretary) with Martin Houghton-Brown, Chief Executive of Missing People.